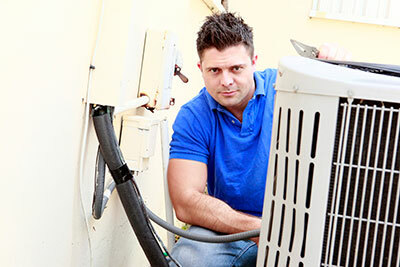 Boerne Air Conditioning Experts is your local resource for all heater repairs in The Dominion and the nearby communities. Our team understands that your winter utility bills can often be quite daunting, but luckily, they don’t have to be. We’re happy to provide you with a few times do keep your heating bills down during the cold weather months. To start, adjust your thermostat. You can keep your house comfortable and save energy by strategically adjusting your thermostat. Consider installing a programmable thermostat, which allows you to easily to set a schedule to maximize your savings. According to the U.S. Department of Energy, you can save as much as 1% on your winter heating bills for each eight hours you set the thermostat back one degree. That means that if you set your thermostat back each night from 70 degrees to 65 degrees while you sleep, you could add a blanket to your bed and save as much as 5% on your heating costs. Or, if your family is out of the house at work or school during the day, keeping the house 10 degrees or even as much as 15 degrees lower when no one is home could result in significant savings. A great way to manage this is to install a thermostat that you can adjust while out and about. 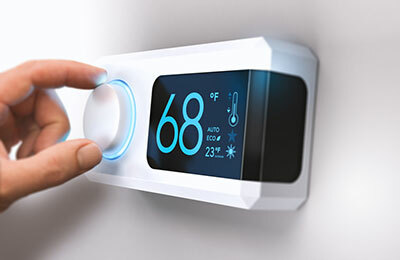 Programmable thermostats work great too but aren’t the best options for busy families who come and go during most evenings. By sealing air leaks in a home, an average household can also cut 10% of its winter heating bills. Use caulk to seal any cracks or small openings on non-moving surfaces, such as where window frames meet the house structure. Check weatherstripping in exterior doorframes and replace any that is deteriorated or cracked. Inspect utility cut-throughs for pipes (plumping penetrations), gaps around chimneys and recessed lights in insulated ceilings, and unfinished spaces behind cupboards and closets. You can buy material that expands to fill the gaps and keep air from flowing through. You may think these are small and insignificant but once you add them all up throughout your home, they have a major impact on the overall efficiency of your home. You can also consider relocating your thermostat. Often times we see a thermostat installed in a central location near a kitchen. While this location can be ideal for most days, the bedrooms can stay cooler and cause you to turn up your temperatures at night. Consider a portable thermostat that will allow you to turn your system on or off from a central thermostat and from a portable model. Finally, have your furnace checked before winter gets into full swing. Saving money on your winter heating bills can come from adjusting gas pressures. You can also save on your winter heating bills by installing new air filters. This will allow your furnace to breathe better and increase airflow throughout your system. One of our professionals at Boerne Air Conditioning Experts can also offer additional recommendations that will increase your efficiency throughout the winter.